Romania, host to 65% of the Carpathian Mountain range. The Romanian Carpathian Mountains are almost completely located in the famous region; Transilvania. This region was and is desired by many, there are few places where ‘living of the land’ is so realistic as it is here. The Carpathian Mountain range is the most diverse mountainous area of Europe. Nearly all natural recources are present here and so is an abundance of flora and fauna species. The prime reason for this region being so unique is the presence of healthy large predator populations, them being the only real wildlife managers. Throughout history, due to the ever growing human population, most of Europe lost its vast nature areas. Irresponsible mass harvesting of natural resources and industrialization eventually resulted in the vanishing of precious, vast forest areas and the creatures that lived there. Large predators were seen as threats to human welfare, so they were erradicated almost everywhere. The animals which escaped death by human hands seeked refuge in mountainous areas, where human activity is rather low. Eastern Europe became a large predator stronghold. Wild animals could live here rather peacefully due to the traditional human lifestyle, compared to modern Western Europe. Eastern Europe was seperated from Western Europe for a long time because of the different political systems in both parts. Romania has a quite recent communist history, it wasn’t untill 1989 before Ceausescu’s communist regime ended in a revolution. Without involving too much political details in my story, some things are to be mentioned. As said, the Carpathian Mountain range is Europe’s last true wilderness. The ancient and sober traditional lifestyles that were common in many places around the world, are still practiced here. For centuries shepherds roam the Mountains with their flocks. The high quality vegetation and healthy ecosystem resulted in strong and healthy people and animals. Only the strongest and fittest can live this way. For those who can the reward is rich, for those who can’t the price is high. The long history of living this life resulted in splendid and healthy domestic animals. Sheep represent the majority of Romania’s lifestock animals . Sheep products cover important human life necessities: wool keeps us warm, meat and cheese feeds us and we drink milk. One can imagine how capable the Romanian sheep are, to be able to thrive in the wild, challenging mountainous terrain. One, very important, feature can’t be solved by the strong and healthy Romanian sheep: defense against predators. 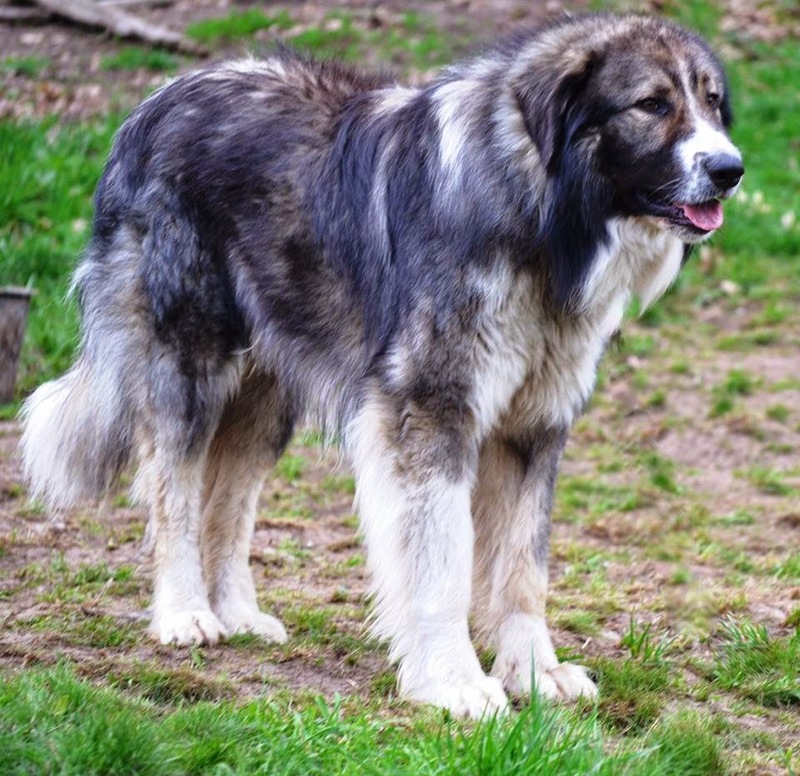 For that reason livestock guardian dogs (LGDs) evolved. Through time the Romanian shepherds developed the most effective LGDs for the Carpathian Mountains tough environment. 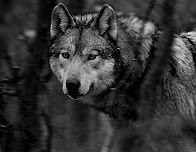 The combination of steep Mountains, thick forests, remote mountain meadows and high predator density resulted into athletic, strong, fast and agile LGDs of the lupoid (wolf like) type; close to natural canine origins. Physically and mentally these LGDs have got what it takes. Heavy built dogs didn’t make it in the Carpathian Mountains and were excluded from the LGD population. 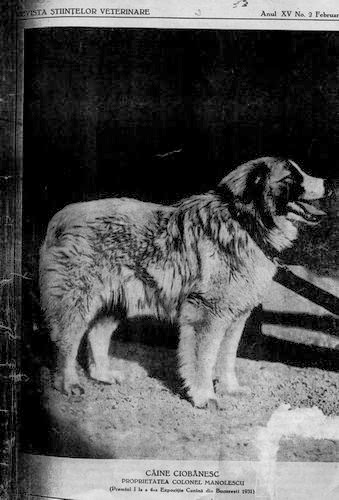 The Romanian Zavod, a moloss shepherd dog which once lived in the Mountains, eventually vanished. The remaining, more heavy built, moloss dogs were used in and around villages and with cattle herds that graze near the villages in rather open and flat terrain. In the high Mountains however, only athletic LGDs guarded the flocks. This resulted in the Ciobanesc Romanesc Carpatin (Romanian Carpathian Shepherd) dog being a much used LGD in the Mountains. In 1934 the first breed standard was made and the breed became a symbol of national pride, being a superb example of how to coexist with large predators and to succesfully live the shepherds life in the high Mountains. Carpatins show much resemblance with their ancestors, wolves, for example; females often regurgitate food for their pups and they prefer to give birth outside, on a spot they find suited. The grey Carpatin coat is very well adapted to both the hot summers and the cold winters. Carpatins love to be- and sleep in the snow, their insulating and thick winter coat keeps them warm and is water resistant. Their abilities to work and collaborate in a pack are extraordinary, which is specificly needed to deter brown bears, of which Romania hosts the highest density in the world. In a pack of Carpatins, several specific tasks are devided among the pack members. Some stay close by and in the flock, others oversee the terrain from higher positions. Where some people want to cover various LGD specialties by running a pack of different breeds, this is not necessary with Carpatins. When the shepherd doesn’t interfere, in a Carpatin pack situation, only the alpha animals will breed and the whole pack will be involved in raising the pups, resulting in a great LGD school. In winter time Canine Effeciency’s Carpatins and their flock are kept at a large farm with other flocks and LGDs of the village. The Carpatins remain with the flock all the time, while the other LGDs mostly hang out near the buildings. When female Inca came in heat, alpha male KO made no mistake, showing the other dogs who was in charge. Four beautiful Carpatin puppies were born in spring on the shepherd camp, eventually. Romanian shepherds managed to find fitting solutions for all their life’s challenges and the process took a long time. One would think that after meeting the crucial requirements to lead a succesful shepherds life, the stable situation could proceed. Unfortunately some threats come unexpected. Ceausescu’s communist regime had many ways to controll the citizens. There are various ways to controll the mob and erasing national pride prooved to be a very sufficient one. Dog breeds are also subjects for national or regional pride and Ceausescus’s regime knew that. In 1981 Ceausescu’s regime made a new standard for Romanian dogs, which included all rural dogs of all types. The high quality LGDs, which took a long time to develop, were severely damaged by these obligated breeding activities. Many good LGD lines got poluted with non LGD mental traits, like high preydrive and undesired physic traits; too heavy built dogs. Threats like these are hard to counter for shepherds, their livelyhood depends on their LGDs. Fortunately the Carpathian Mountains provided refuge for quite some shepherds and their LGDs, the harsh Mountains can be friend and foe at the same time. The high Mountains are not easily accesible and therefore a fair number of good LGDs, were preserved. After the 1989 revolution several people started to collect remaining documentation about the Romanian LGDs of the high Mountains; the Ciobanesc Romanesc Carpatin. Their awareness of what’s important, love for nature and the traditional way of life were and are the drive. A place called Dealu Negru, located in the foothills of Muntii Călimani, contains many wild pear trees. Every autumn a high number of bears, of surrounding regions, migrate to this area to feed on the pears. The shepherds who stay in this area need superb LGDs to prevent these additional bears from exchanging between fruit and meat. Several passionate people traveled across the country looking for the right type of LGDs, both mentally as physically, which were needed for the future predator/human coexistence and shepherds life. They managed to find numerous good specimens to revive the LGDs who have got what it takes. Now, many years and hurdles later, the results are astonishing; the Carpatin is back in its full glory. Canine Efficiency supplies dogs for conflict prevention between shepherds and predators. More and more Romanian shepherds work with these splendid LGDs again or get the opportunity to do so. This is very important, because the traditional shepherd culture faces many unnatural threats these days. They need all the help they can get and they simply need good LGDs. What took years to build up was severely damaged, but fortunately conserved before it was too late.